GreyLit was developed by professionals who are passionate about knowledge mobilization, information dissemination, closing the evidence access gap and not re-inventing the wheel. Our goal is to create a platform that allows grey literature to be searched, shared, reviewed and collaborated upon with people who want to move research forward by applying it to their work. We respect and appreciate all of the hard work that went into creating the intellectual property shared on GreyLit, we expect you to do the same. The Personal Information that GreyLit collects from you and that you provide to GreyLit is processed in Canada and is stored on servers in Canada. The Canadian Personal Information Protection and Electronic Documentation Act has been deemed to provide adequate and similar protection to that which applies within the European Economic Area and the United States. We use your Personal Information to generate statistics which pertain to reading behavior or achievements. We also generate statistics for internal purposes in order to constantly improve the platform and its features. We have advertising on our platform so we can keep our costs low, and inform you of relevant products or services. We do not share Personal Information with third party advertisers for their direct marketing purposes. GreyLit aims to connect readers to research and information. Any natural or legal person who, as a recipient of the Service, accesses or uses the Service for any purpose is a User ("User", "you"). Our registered Users ("Members") share their professional identities and credentials, display their academic publications, engage and collaborate with their networks, exchange knowledge and professional insights, post and view relevant content, and discover business and career opportunities. Some content is also visible to unregistered or logged-out Users ("Visitors"). In order for the Service to function, we need to collect from you and process certain data and/or information about your person or your scientific involvement ("Personal Information"). Registration. If you choose to create a Member account on our Service, you will be required, during the registration process, to provide certain information, such as your name, an email address, and a password. By default, your real name will always be visible to Users of the Service, whether they are registered or not, but your password will always be kept secret. Other Personal Information. We may require that you provide other information that can be used to identify and/or contact a natural person, including a name, postal address, telephone number, and email address. Also, for some features, you may be invited or required to provide information relating to yourself, including, for example, demographic information, such as gender, birthday, or occupation, and research vita, authorship of articles, academic or research expertise or interests, conferences you have attended, groups of which you are a member or correspondence sent to us through the Service. Related information. We may present biographical, publication, and other information to you that may relate to you or your work, and enable you to voluntarily incorporate it into your profile on the Service and associate it with your Personal Information. Sensitive information. We do not collect sensitive information such as information about your race, political views, religious views, or health conditions. At time of registration. When you register for the Service you will be required to provide Personal Information sufficient to establish a GreyLit account. At time of creation of your researcher profile. After registering for the Service and creating an account, you may want to provide us with supplementary Personal Information in order to create a detailed profile. You may be invited to associate certain information we present to you with your account, such as articles, institutional affiliation, and biographical information. Email/Direct mail campaigns. We may contact you from time to time to share information about new services, promotions, or special offers. Jobs and external communications. If you contact us about a job or other corporate matters you may provide us with your name, email address, and other Personal Information. Third party providers. When you choose to benefit from a service or offer presented by GreyLit on behalf of a third party, you may share Personal Information with GreyLit to enable us to pass it on to the third party. Please note: GreyLit does not process any payment data. All payment data are collected and processed by third-party providers, namely Stripe. We and service providers acting on our behalf store log files and use tracking technologies such as cookies, web beacons, tracking pixels, and local shared objects, also known as flash cookies, to collect information relating to you and your use of the Service. "Cookies" are small files that enable us to store and collect specific information related to you and your use of the Service on your computer or other end devices. They help us to analyze the number of people who use the Service, usage frequency, User behavior, advertising effectiveness, to increase security and tailor our Service to your needs and preferences. After you have logged in to your account on the Service, we use so-called "session cookies" to identify you during the course of your session. Upon the termination of your session, the session cookie is automatically deleted. We also use "persistent cookies" to record information about repeat Users of the Service. Persistent cookies are designed to help us continually improve the products and services we offer you. Persistent cookies do not contain Personal Information such as your name, IP address, etc. You can edit the settings of your browser to prevent cookies from being stored, to limit the storage of cookies to certain websites, or such that your browser informs you every time a cookie is sent. You can also delete cookies from your computer's hard drive at any time. However, please note that if cookies are deactivated you will not be able to take advantage of some of GreyLit's features. We also use pixel-based and cookie-based conversion tracking technologies to, for example, measure the success of advertising campaigns served on GreyLit. To this end we use technologies provided by Google. information collected for performance purposes (e.g. average load, render time of pages, etc.). We receive information about you and your activities on and off the Service from third-party partners, such as information from advertisers about your experience or interactions with them. We also obtain information about you from publicly available sources, such as information regarding previous research published by you and affiliations that may be associated with your profile. We have advertising on our Service so we can keep our costs low, and inform of relevant products or services. We do not share Personal Information with third party advertisers for their direct marketing purposes unless you give us your prior consent. other contextual data about your use of the Service (for example, your session length). Advertisers or ad networks may collect this information through the use of tracking technologies like browser cookies and web beacons (see explanations above), and they may use a single tracking technology or multiple tracking technologies at the same time. undertake web analytics to analyze traffic and other User activity to improve your experience. GreyLit reserves the right to use certain Google services, operated by Google, Inc., California, USA ("Google"). Google services may include Google Analytics, a web analytics service, Google Analytics Advertising Features, namely for remarketing with Google Analytics, Google Display Network Impression Reporting, Google Analytics Demographics and Interest Reporting, and integrated services that require Google Analytics to collect data via advertising cookies and anonymous identifiers, and Google's DoubleClick Services. Any information generated by the cookies about your use of the Service (including your IP address) will be transmitted to and stored by Google on servers in the United States of America. Google will use this information for the purpose of evaluating your use of the Service, compiling reports on website activity for us, and providing other services relating to website activity and Internet usage. Google may also transfer this information to third parties where required to do so by law. More information about Google's data privacy and security can be found here. Please see Google's page on 'How Google uses data when you use our partners' sites or apps', and Google's terms and policies for further information. Many communications that you initiate through our Service (for example, an invitation sent to a non-Member) will list your name in the header of the message. Messages you initiate may also provide the recipient with aggregate information about your network (for example, how many people are in your network). Other communications that you initiate through the Service, like a request for a full-text, will list your name as the initiator but will not include your personal email address. Once you have connected with an individual, regardless of who sent the invitation, your contact information that you choose to include in your researcher profile will be shared with that individual. The Personal Information that you provide to us may reveal or allow others to identify aspects of your life that are not expressly stated on your profile (for example, your picture or your name may reveal your gender). Enable you to benefit from the Service. We process your Personal Information in order to provide the Service in a way that is tailored to your interests. This allows us to administer your account with GreyLit and customize the services GreyLit provides to you through the Service. For example, we will process your Personal Information to provide dynamic web pages that are individually adapted to you. Conduct research. We conduct research and development for the improvement of our Service and the User experience. Offer you tailored advertising content. We aim at offering you advertising content that is the most relevant to you. In this context, we use, whether separately or combined, the Personal Information you provide, we collect, or we infer from your use of the Service and the Internet. This enables us to display advertisements that best match to your particular interests. In order to show these advertisements and measure their performance on and off our Service, we work with a variety of business partners. Communicate with you. We may use your Personal Information to communicate with you about GreyLit and products or services by email, postal mail, telephone, text message, or other means. If you wish to stop receiving promotional communications from us, you can follow the unsubscribe instructions at the bottom of each email we send, or, if you have an account with us, change your preferences by signing into your account through the Service. Generate statistics. We use your Personal Information to generate statistics which pertain to reading behavior or achievements. We also generate statistics for internal purposes in order to constantly improve the Service and its features. You can object at any time to processing of your Personal Information for statistical purposes by filling out the form on the GreyLit.net platform or by changing your account preferences. Generally, GreyLit does not share the Personal Information collected - or that you provide to GreyLit - with third parties unless we have obtained your prior consent. Note, however, that GreyLit reserves the right to share the Personal Information it has about you with vendors, agents, and contractors who assist GreyLit in administering the Service and in providing benefits to you. We may also share Personal Information in response to legal process or when the law requires it (for example, in response to a court order) or, to the extent permitted by applicable law, to protect the rights, property or safety of GreyLit, the Service, Users of the Service (including you), and others. 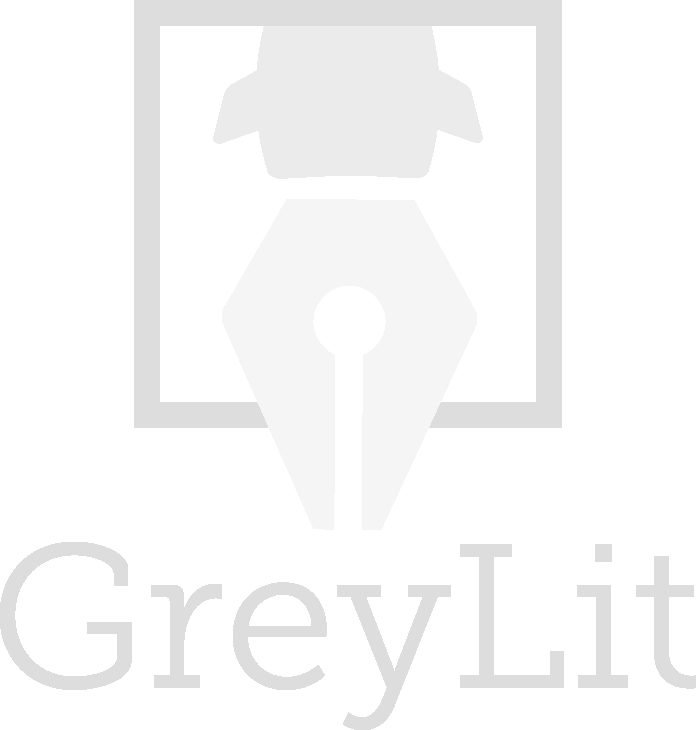 GreyLit may also disclose Personal Information as is necessary to identify, contact, or bring legal action against a person or entity who may be violating GreyLit's Terms of Service, or who may be causing harm to, or interfering with, other Users of the Service. In addition, in the event that assets of GreyLit are transferred or sold to another entity, Personal Information may be transferred to the acquiring entity and/or to potential acquiring entities to the extent permitted by applicable law and we will seek your consent where required. The Personal Information that GreyLit collects from you and that you provide to GreyLit is processed in Canada and is stored on servers in Canada. The Canadian Personal Information Protection and Electronic Documentation Act has been deemed to provide adequate and similar protection to that which applies within the European Economic Area. If we transfer your Personal Information to countries outside of Canada or other areas which do not offer adequate and similar protection, we will ensure that we do this in accordance with applicable data protection regulations (for example, by putting in place an appropriate data transfer agreement). We will do this with a view to ensuring the level of protection which applies to your Personal Information processed in these countries is similar to that which applies within Canada and the European Economic Area. If you have created an account through the Service, we will close your account upon your request. We may also close or disable inactive accounts or accounts that are used in violation of our Terms of Service or any applicable law. We will retain Personal Information from closed or inactive accounts to the extent and as long as it is necessary and relevant for our operations and/or to comply with law, prevent fraud, collect any fees owed, resolve disputes, troubleshoot problems, assist with any investigations, enforce our Terms of Service, and/or take other actions otherwise permitted by law. In general, Personal Information from closed or inactive accounts will be deleted or anonymized one year after the account is closed or deactivated unless we have reasonable grounds to believe that the Personal Information should be retained for one of the purposes identified above. You may (i) exercise the rights referred to above or (ii) pose any questions or (iii) make any complaints regarding the data processing by contacting us at info@GreyLit.net. You have the right to object, at any time, to the processing of your Personal Information on legitimate grounds by contacting us at info@GreyLit.net.